Better Softness - Fabric softener helps make your clothes feel softer. The harshness and stiffness of some fabrics may not be as evident with regular use of fabric softener. The softness is quite noticeable on laundry items like towels and sheets. Better Freshness - Enjoy the pleasant experience of wearing fresh clothes or sleeping under a fresh and soft set of linens. Fabric softener sheets can also be used in a variety of places like closets, gym bags, suitcases and cars to make them smell fresh. Reduces Wrinkles - Fabric softener can help reduce wrinkles in your clothes. Some materials may still need to be ironed, but adding fabric softener to your laundry will help reduce the amount of wrinkles your laundry usually has. Static Cling Reduction - By using fabric softener you can reduce the static cling caused by your dryer. It neutralizes the negatively charged particles in the fabrics that cause it. Who doesn't know the Snuggle Bear?? When I think of Fabric Softener, he is the first image that pops in my head!! I love fabric softener. It makes your clothes soooo much softer. Especially towels. I will not use a towel, unless it has been softened!!! Snuggle is one of my favorite softeners. It has a wide variety of scents to choose from. Recently I was given a chance to try their new White Lilac and Spring Flowers Softener. 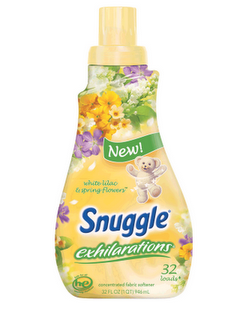 Experience an irresistible and refreshing burst of spring fragrance with Snuggle Exhilarations White Lilac & Spring Flowers™. A shower of precious white lilacs and blushing spring blossoms that bring your senses to life. Oh does this smell good!!! Like all Snuggle products, it made my towels (and clothes) soooo soft. The scent is a light floral scent, so you can even use it on men's clothes!!! You know how sometimes it is so over powering that men refuse to wear it. This is not at all like that!! 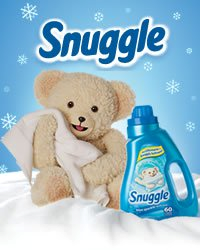 Snuggle offers their fabric softener in liquid or in sheets. 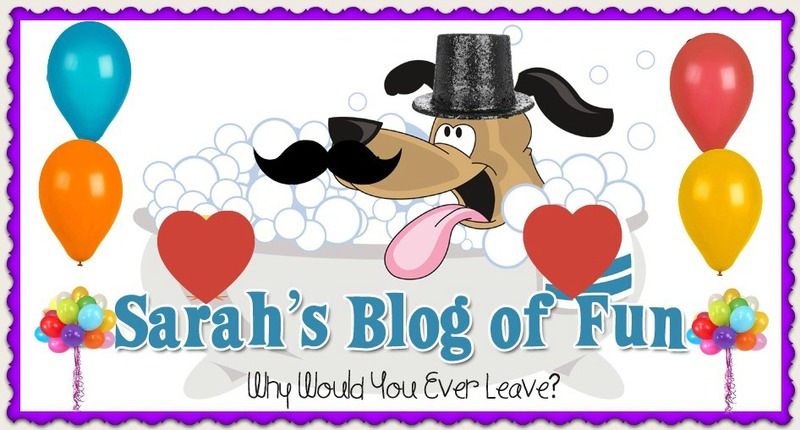 Right now, they are also running a great contest, where you can enter to win a Washer and Dryer plus a whole year supply of their new White Lilac and Spring Flowers Softener!! Head over to their Facebook Page for more details! !